Wow, if I only had that kind of money. 13 grand is a lot to pay for a record, but someone has it to spend!! 5. 45 Northern Soul GEORGE BLACKWELL Can't Lose My Head 1966 Smoke 200 Original! 9. GREAT DOO WOP 45: 5 NOTES & HAMIL-TONES JEN D PROMO!! 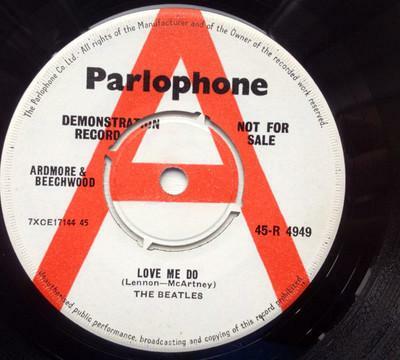 also did some checking, there are 1,613,992 results found for the search term LP on eBay today, and this is a great indication of the past several days....lots of records for sale on the big vinyl machine! Find a record collector expo or show coming to a town or city near your home! Aug 26 Des Moines IA Des Moines Music Collectors' Show Holiday Inn - 1050 6th Ave. - Des Moines, IA $1 10AM-4PM 515-284-1401 Over 20 dealers from the upper midwest will sell records, CDs, DVDs, posters & memorabilia. Aug 26 Charlotte NC Carolina Vinyl and CD Collectors Show Tremont Music Hall, 400 W. Tremont Ave., 28203 $3 10AM-4PM 704-996-9945 Featuring rare vintage vinyl, CDs, DVDs, and more! Sep 9 Dedham MA Original New England Compact Disc & Record Expo Holiday Inn, Rte #1 Dedham MA $5 10AM-4PM 781-986-4538 This is our 32nd year. Largest show in New England. Sep 9 Roseville MI Metro Detroit Record Show VFW Hall, 25671 Gratiot Ave, Roseville MI $3 10AM-4PM 586-759-5133 Michigan's #1 Collector's Show! 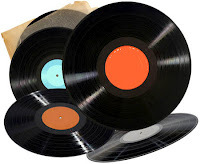 Sep 9 Lancaster PA Pennsylvania Music Expo The Continental Inn, 2285 Lincoln Highway East, Lancaster, PA 17602 Free 9AM-3PM 717-898-1246 www.recordcollectors.org The largest show of its kind, by collectors, for collectors. THE SECOND INSTALLMENT IN SUNDAZED’S LANDMARK JIMI HENDRIX SINGLES SERIES! Sundazed presents the second installment in its landmark Jimi Hendrix singles series, which honors the legendary guitar icon’s singular musical genius by presenting it in the same medium in which it was originally experienced by fans: vinyl. 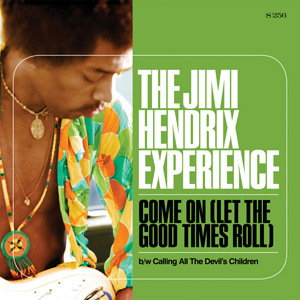 The series’ latest release once again pairs two vintage Hendrix tracks, combining his visionary reading of Earl King’s R&B classic “Come On (Let the Good Times Roll)” alongside the Hendrix original “Calling All the Devil’s Children.” The former track, which Hendrix recorded for his classic 1968 album Electric Ladyland, demonstrates Jimi’s close ties to his blues and R&B roots. The latter demonstrates his skill with long-form improvisation, as well as his playful sense of humor. Both tracks feature the classic Jimi Hendrix Experience lineup of Hendrix himself on guitar and vocals, Noel Redding on bass and Mitch Mitchell on drums. As with every release in the series, the new single features a color picture sleeve incorporating seldom seen Hendrix photos that capture the legendary artist’s distinctive persona and pioneering spirit. This new release is the second in Sundazed Music’s historic partnership with Experience Hendrix, L.L.C., which launched in April 2012 with a single featuring two rare Hendrix performances from a pair of 1967 BBC sessions. contemporary music. He became rock’s first guitar superstar, with an effortless charisma that matched his visionary talent to an intensely original performing style. More than four decades after his passing, his influence upon contemporary music looms as large as ever. NEW YORK, Aug. 20, 2012 -- /PRNewswire/ -- Signed to Columbia Records at age 26 in 1958, the arc of Johnny Cash's career played out at the label over the next three decades, a near lifetime of work in music, film and television now presented on JOHNNY CASH – THE COMPLETE COLUMBIA ALBUM COLLECTION. Containing 61 distinct album packages (single and double CDs, totaling 63 discs overall) housed in a box with a lift-off cover, the deluxe set will be available everywhere October 30th through Columbia/ Legacy, a division of SONY MUSIC ENTERTAINMENT. Released in the year in which Cash would have turned 80 (born February 26, 1932), JOHNNY CASH – THE COMPLETE COLUMBIA ALBUM COLLECTION is a monumental tribute to the original Man In Black. Working with Columbia producers Don Law (1958-67), Frank Jones (1960-67), Bob Johnston (1968-70), Larry Butler (1972-78), Charlie Bragg (1972-77), Brian Ahern, Billy Sherrill, Chips Moman, and others, Cash was always in command of his direction, whether it was country & western, gospel, blues, rockabilly, traditional balladry and folk, or any other style he chose to pursue. The new box set was compiled by multi-Grammy Award®-nominated producer Gregg Geller and multi-Grammy® and W.C. Handy Award-winning producer Steve Berkowitz, who have supervised Legacy's historic Johnny Cash reissue program for over a decade. Willie Nelson, who took part in April's "We Walk the Line: A Celebration of the Music of Johnny Cash" concert in Austin (available on DVD and Blu-ray from Legacy), had this to say about Cash at the event: "I always looked at John as somebody who had been there before me and who was doing it the way he wanted to do it. I always admired and respected him for doing that − he was one of the first rebels, one of the first outlaws (if you want to call him that) that hit Nashville and I was a great fan of his not only for his music but for his attitude." The box set begins with The Fabulous Johnny Cash, his Columbia debut LP recorded and released in 1958, with his first #1 country single at Columbia, "Don't Take Your Guns To Town." It wraps up in 1990 (though Cash actually left Columbia in 1983) with Highwayman 2, the second Columbia album by the quartet of Johnny, Waylon Jennings, Willie Nelson, and Kris Kristofferson, featuring the Top 25 country hit, "Silver Stallion." In between, a total of 35 album titles are being released for the first time on CD by Columbia/Legacy in the U.S. And the first 19 chronological titles (dating from 1958 to 1967) are being released for the first time in monaural (mono) sound on CD by Columbia/Legacy in the U.S. Each title is packaged as a mini-LP CD with its original artwork, including the five original gatefold albums in Cash's Columbia discography. THE COMPLETE COLUMBIA ALBUM COLLECTION is accompanied by a full-color booklet that includes complete discographic information for every album: songwriters, recording dates and cities, musicians, guest performers, producers, release dates, original catalog numbers, Billboard pop and country chart numbers for albums and single tracks, and more. The booklet also features liner notes by veteran annotator Rich Kienzle, who references many of the Columbia albums along the way. "When one thinks of Johnny Cash's recordings, one thing is certain," Kienzle writes. "The Columbia years loom larger than any other phase. A star when he arrived in 1958, when he departed he was an American icon." •The Singles, Plus, a 2-CD, 55-song collection (spanning 1958-85) of single sides that did not originally appear on Johnny's Columbia albums, 'plus' guest performances on other artists' albums, among them Bob Dylan, The Carter Family, Mother Maybelle Carter, June Carter Cash, The Earl Scruggs Revue, Marty Robbins, Willie Nelson, and Shel Silverstein. • Koncert V Praze, recorded at the Sport Hall in Prague in 1978, released on the Czech Supraphon label in 1983, now officially joining the U.S. catalog. •Little Fauss And Big Halsy, the motorcycle racing movie starring Robert Redford, Lauren Hutton and Michael J. Pollard, with a soundtrack mixing vocal and instrumental tunes by Cash and Carl Perkins. "Johnny Cash and Columbia Records were joined at the hip for 28 years," Kienzle writes, "or nearly 60 percent of his 48-year recording career that began in early 1955 when he did his first formal session for Sun Records in Memphis, continuing until just before he died in 2003. Cash staked his claim and established himself at Sun; at Columbia, he defined himself for all time." August 7 also marked Legacy's release of We Walk The Line: A Celebration of the Music of Johnny Cash, a DVD+CD set and separate Blu-ray disc. The packages chronicle the all-star tribute concert of April 20, 2012, held at the Moody Theater in Austin, Texas. Artists who performed that night and appear in the feature include Brandi Carlile, Sheryl Crow, Iron & Wine, Shooter Jennings, Kris Kristofferson, Shelby Lynne, Pat Monahan of Train, Willie Nelson, Lucinda Williams, and others. 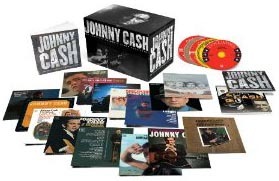 THE COMPLETE COLUMBIA ALBUM COLLECTION also follows up the critical and commercial success of The Johnny Cash Bootleg Series, which has presented four historic releases to date. Released in April, the most recent title in the series is The Soul Of Truth: Bootleg Vol. IV, which includes 51 gospel-themed recordings. Order The Complete Columbia Album Collection Today! FEN Creates Storm with Release of New Album, "Of Losing Interest"! The album may be called "Of Losing Interest" but the overwhelming critical and fan response to Fen's latest release has been anything but a lack of interest. Hard City gushes, "progressive melodic rock that you must hear to understand the magic." The Ringmaster hails Fen as "a thriving infection gone wild, a nigging treat for the psyche with its contagion of progressive melodic enterprise, insatiable rock n roll hooks, and mesmeric shadows. Every song borders perfection. Melodic rock at it's best." And over at the BCFM Rock Show, they simple praise Of Losing Interest as "a great record from a first rate band. A release that will do both Fen's and Ripple Music's growing reputations the power of good." Following the breakout premiere of the album on Heavy Planet, Ripple Music is proud to announce the release of Of Losing Interest world-wide. Look for it as it's headed towards a music store near you . . . both physically and digitally. Following up on 2010’s breakout album, Trails Out of Gloom, the band return to their heavier roots with the brand new album, Of Losing Interest! Once again recorded at Creativ Studios with longtime producer, Mike Southworth at the helm, the band have crafted themselves an album that perfectly balances the technical virtuosity of heavy metal with the more down to earth tones of the early 90’s alternative rock movement. Of Losing Interest is now available through Nail Distribution in North America, Code 7 in the UK, Clearspot International in Europe, and the online Ripple Music store. rollingstone magazine has some great news, triple vinyl as welll!